Eating high-fat food doesn’t necessarily make you fat. Take the beautiful and buttery avocado, for instance. While it’s true that this decadent fruit is high in fat, it’s important to remember that it’s made up of monounsaturated omega-9 fat, which lowers “bad” LDL cholesterol that can impede blood flow and cause heart attacks and strokes. Avocados can also raise “good” HDL cholesterol in your body. HDL cholesterol helps pick up excess “bad” cholesterol in your blood and takes it back to the liver where it’s broken down. Conversely, trans fats and hydrogenated fats— found in margarine, vegetable oil shortenings, and processed foods— contribute to heart disease and obesity. Are avocados fattening? They are a high fat and high calorie food but whether they are actually fattening depends on how much you eat. More than two-thirds of the calories in an avocado come from monounsaturated oleic acid. This is more likely to be used by the body as a slow-burning energy source than if you had consumed saturated fat from animal products like beef, chicken or pork. Avocados also contain a large dose of fiber, so when you eat them you feel full longer, and this can prevent over-eating and aid in weight loss. 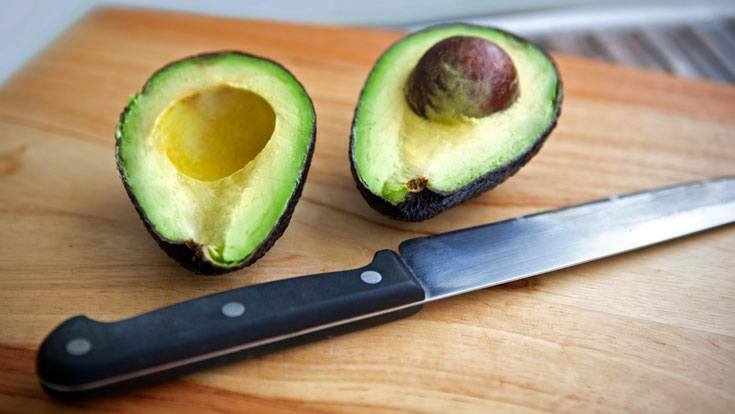 But here’s the big bonus to those luscious green fruits: Avocados also act as a triple-fat burner due to the thermogenic effects its nutrients have on the body—particularly in the belly region! Central obesity is associated with prediabetes, but several studies show that avocados trim abdominal fat. For a speedy metabolism, inflammation also needs to be in check, and blood vessels clear and supple. Avocados have essential fatty acids, monounsaturated fats, and antioxidants that help do just that. To get the benefits without all the guilt, eat vegetables instead of chips if you’re on a diet, but enjoy a bit of guacamole! Use it in place of mayonnaise as a rich spread on your whole grain breads. It’s just as creamy and doesn’t have all the animal fat.